The Highway Star — John “Dawk” Stillwell R.I.P. John “Dawk” Stillwell has passed away unexpectedly earlier this week. He was a musician and electronics engineer from Ithaca, NY, who started working with the local band Elf in early 60s. When Roger Glover and Ian Paice started producing Elf in 1972, Roger liked the sound of Ronnie’s bass so much, that he commissioned Dawk to do the same modification for his Rickenbacker. Dawk then went on to work for Rainbow and reunited Deep Purple customizing and repairing their gear. He recently worked for Manowar, with whom he was about to go out on tour. His death was announced on Manowar Facebook page. Thanks to Danny N for the info. Image courtesy of DawkSound.com. Posted by Nick Soveiko on Wednesday, December 23rd, 2015, filed under Blog. You can follow comment on this post through the RSS 2.0 feed. You can skip to the end and leave a comment. Pinging is currently not allowed. Respect for this man who shaped the tones of rock! sad loss, Dawk was really ahead of his time in terms of how high gain amps developed. R.I.P. Dawk! Peace & Love! My condolences go out to the Stillwell family – another great loss for rock ‘n’ roll within the squad of heros off stage. His extraordinary work on both Ritchie’s and Jon’s equipment (especially regarding the Marshall Major amplifier) went down in history with great albums like Deep Purple In Rock or Made In Japan. Thank you for shaping this awesome tone, Dawk! 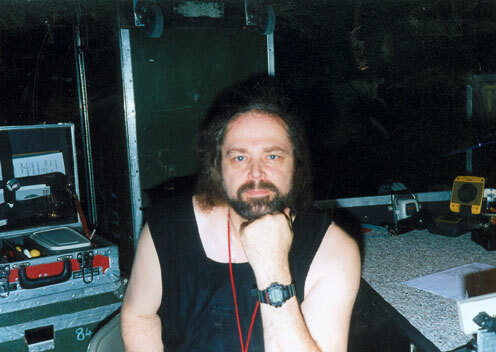 A great loss—He was very instrumental in keeping our gear and sound “cutting edge”with our band Tyrant. My prayers go out to Danny and the Stillwell family and all my old friends in Ithaca who knew him well.